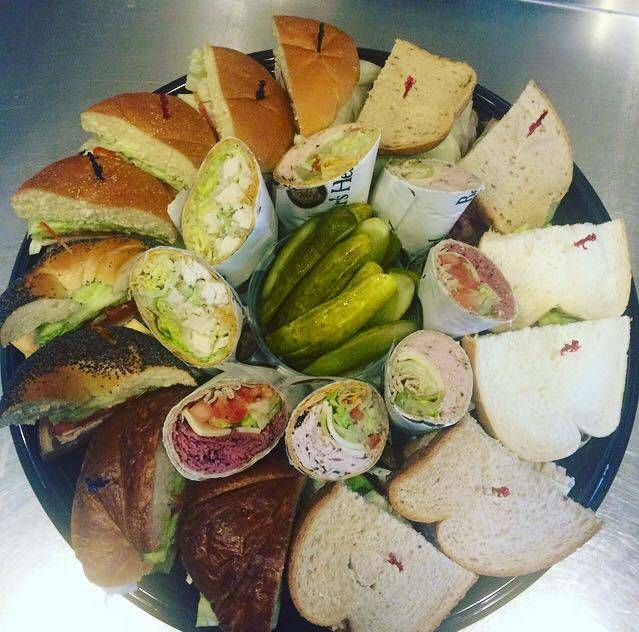 Special occasions call for special celebrations, and what better place to celebrate than Manhattan NY Deli & Bagel? 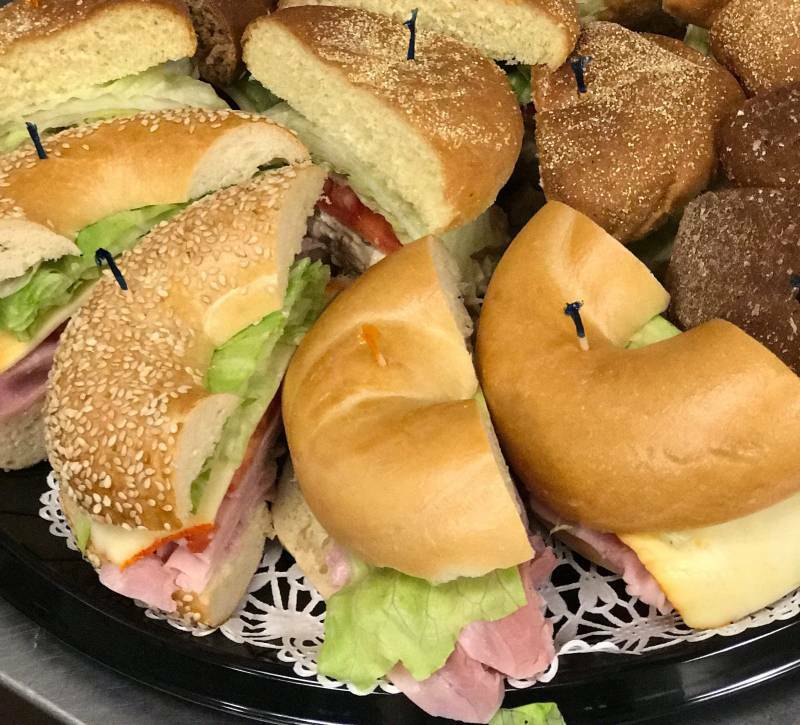 With its tasty food, unique atmosphere, and accommodating staff, Manhattan NY Deli & Bagel is the perfect spot to commemorate your memorable occasions. Call today to start planning your event. Are you hosting an event at your facility? We can help with that too! We can cater your company breakfast or lunch meetings, corporate events, family birthdays or any other type of party. Call today to start planning your event. We also offer hot food service for corporate buildings at lunch time: Weekdays fresh hot meals are prepared in our store and served together with cold/hot fresh made sandwiches, salads, soups and of course with a variety of fresh cookies, cakes or sweet endings as we call it. Click here to see our catering menu online to order directly or just download a copy here. Variety of lean cut meats with your choice of extra-lean roast beef, ham, smoked turkey, honey glazed Turkey, Cajun turkey, pastrami, and chicken salad. You can even choose them all! They are topped with gourmet cheese and all the “ xings”. This specialty sandwich includes roasted red peppers, cucumbers, crispy lettuce, onions, ripe tomatoes, and hummus. It is topped with delicious feta cheese. 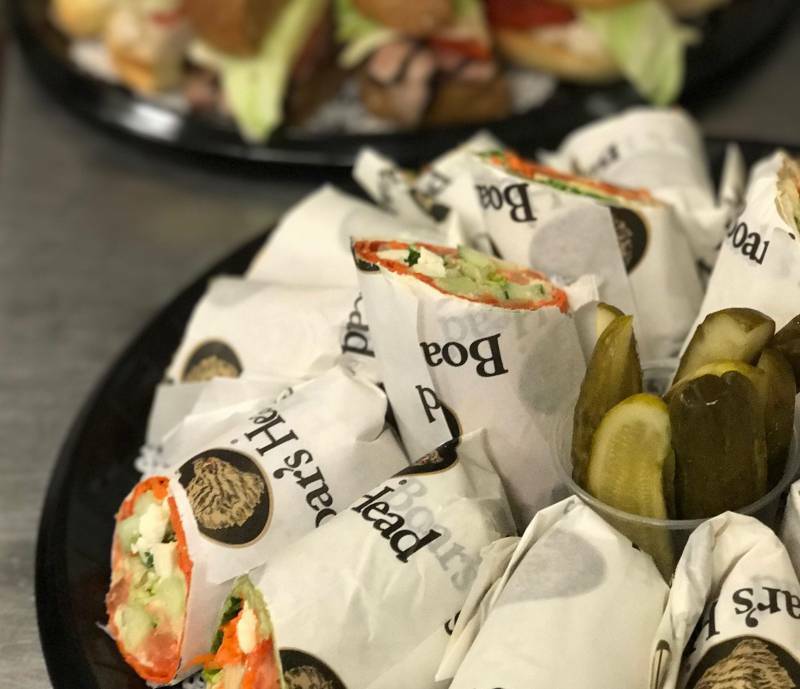 These three signature salad sandwiches were original recipes carried down from generations and are some of the best sellers in Manhattan Deli and Bagel. It is an assortment of white Albacore tuna salad, fresh egg salad, and all-white meat chicken salad. These are light tasting and not heavy on the mayo. 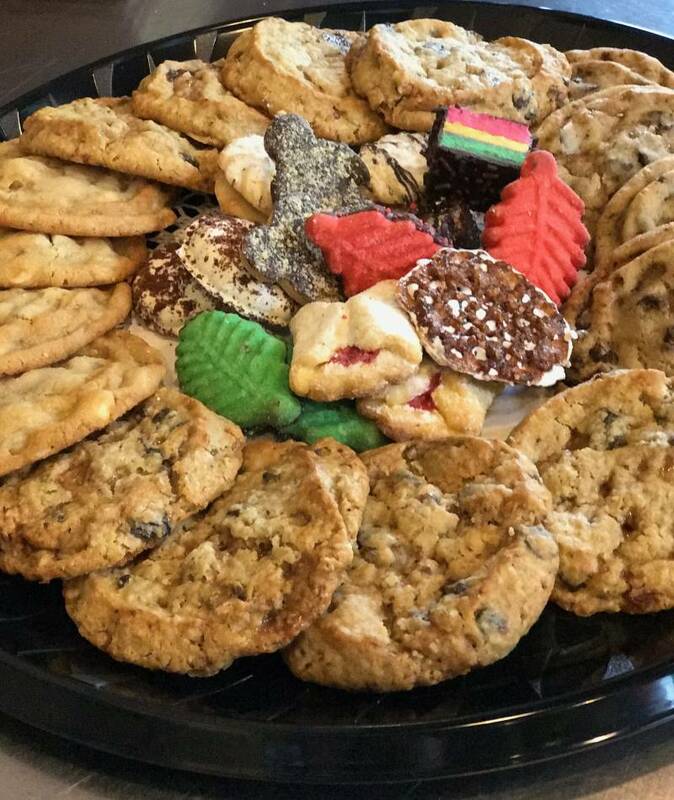 Includes an assortment of delicious homemade cookies as well as Italian cookies.